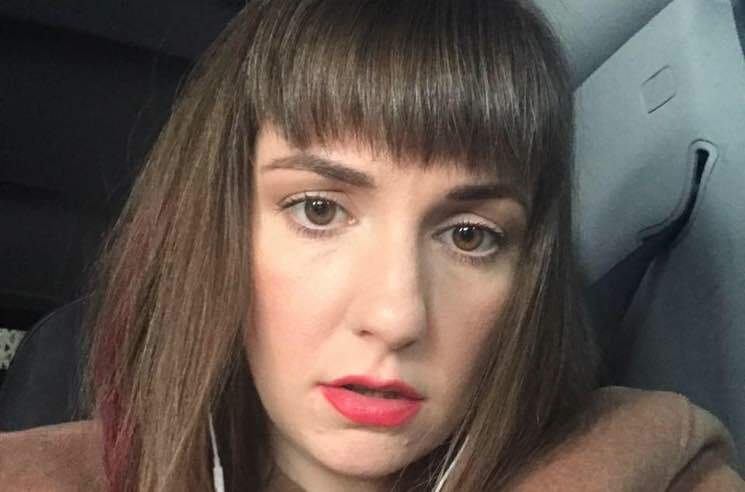 Lena Dunham has never shied away from sharing her struggles with endometriosis, and in a new personal essay for Vogue, she's now revealed that she recently had a hysterectomy at age 31. The Girls creator and star wrote about her life-long desire to have children. As a kid, she "would stuff my shirt with a pile of hot laundry and march around the living room beaming", and while wearing a prosthetic belly on her TV show, she would "stroke it subconsciously with such natural ease." "But I know something else, too, and I know it as intensely as I know I want a baby: that something is wrong with my uterus," she wrote. Dunham detailed a number of surgical procedures she had gone through to manage the excruciating pain of her condition — in addition to "pelvic-floor therapy, massage therapy, pain therapy, color therapy, acupuncture, yoga, and a brief yet horrifying foray into vaginal massage from a stranger" — but ultimately arrived at the conclusion that her uterus is "defective." She recounted the hysterectomy procedure, as well — from the essay and therapy sessions required to determine her ability to make the decision in the first place to putting on her favourite Rihanna song before going under. In addition to endometrial disease, an odd humplike protrusion, and a septum running down the middle, I have had retrograde bleeding, a.k.a. my period running in reverse, so that my stomach is full of blood. My ovary has settled in on the muscles around the sacral nerves in my back that allow us to walk. Let's please not even talk about my uterine lining. The only beautiful detail is that the organ—which is meant to be shaped like a lightbulb—was shaped like a heart. Dunham finished the essay by considering her remaining options. She will see if she's able to preserve her eggs, but also declares: "Adoption is a thrilling truth I'll pursue with all my might." Read Dunham's full essay here. As previously reported, Dunham is currently developing an adaptation of Camping with her Girls co-creator Jenni Konner.